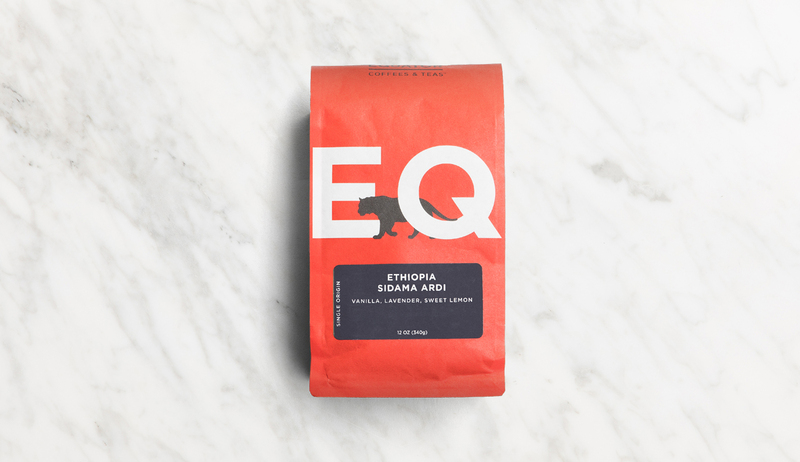 Founded in 1995 by Brooke McDinnell and Helen Russel, Equator has become one of the most successful and ambitious specialty coffee roasters in the United States. Their dedication to sustainability and social responsibility goes hand-in-hand with their commitment to high-quality coffees and cafes. 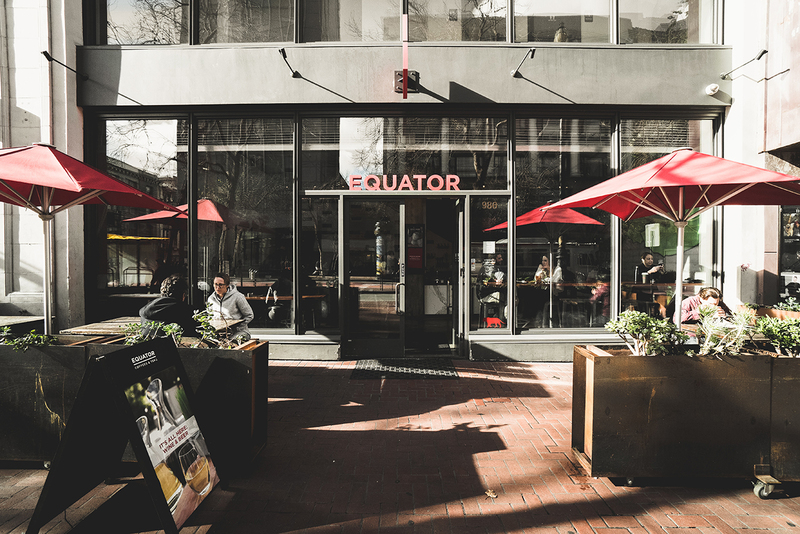 Even through their expansion to more than 500 wholesale accounts and seven retail cafes, the Equator team has maintained a commitment to quality that can be hard to do. 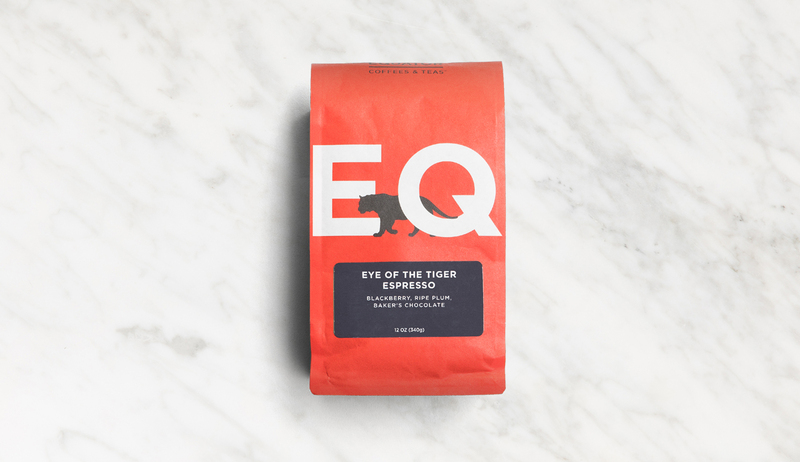 This month, we’re excited to partner with their team to send you two delicious selections from they current lineup: Eye of the Tiger Espresso and Ethiopia Ardi. For this shipment, subscribers will be getting one blend and one single origin—a fun way to compare complexities in espresso. Beyond that, the juxtaposition of a completely washed blend next to a natural sun-dried coffee should make for some exciting palate adventures. Below, you’ll find some more information on each coffee—provided by the Equator Team—that will really help you dig in to each of these espressos. Enjoy! This blend is an Equator signature. Its flavor profile is not fixed; instead it adapts as seasons change and new coffees become available. Several times a year we reconstruct the blend to show off the unique flavors of in-season coffees. The latest edition of our seasonally evolving espresso blend is built around a richly nuanced and savory coffee grown in Nicaragua by members of the Aldea Global Coop. Aldea Global founded the Tierra Madre Program, which covers administrative, legal and logistic costs related to women’s land rights issues. Equator has contributed to this fund for many years by attaching a small additional contribution to each pound of unroasted coffee purchased through the co-op. Great with milk, especially as a Cappuccino. Will taste through sweeteners as well. This is an outstanding single-origin coffee that we keep in stock year round. A sweet, fruity natural-processed Ethiopian coffee, Ardi is wonderful as espresso or brewed coffee. We recently featured it at our seven San Francisco Bay Area cafes. Coffee farming is the main source of income for the approximately 3,000 people who live in Southern Ethiopia’s Guji Zone area and produce the coffee that makes up Ardi. We’ve seen first-hand the oversight and care that goes into this natural sun-dried coffee and established a strong relationship with the producer. Every year since 2013, this clean and fruity coffee has been part of our portfolio. Other Notes You’d like to Include: Excellent on its own. Tastes like blueberry and cocoa nibs. Great with a little milk but no more than 5oz (will taste like blueberry pie a-la-mode with milk). Not a subscriber? Subscribe by the first of the month to get in on our next shipment. Absolutely enjoyed both coffees. For the Ethiopia Ardi it also tasted amazing as an iced espresso (creamy and sweet lemon). Are there any discounts with Equator if we wanted to purchase more from them as La Marzocco Home Espresso subscriber? There wasn’t anything extra in the box other than the beans.